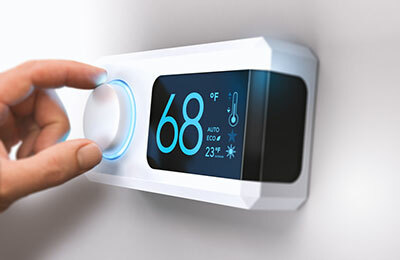 Most homeowners in the San Antonio expect that their utility bill will begin to spike in the summer, but to the surprise of many, it isn’t entirely uncommon to notice alarming rates in the winter too. Even in the mildest of winter seasons, it’s important to remember that older homes that have older furnaces typically aren’t as efficient as newer models. At Boerne Air Conditioning Experts, we’re happy to share some tips and tricks for finding air conditioning rebates from City Public Service (CPS Energy). First, you may have heard about Nest CPS Energy. According to their website, “The Nest Learning Thermostat learns what temperatures you like to keep you comfortable and help you save. And now we’ve partnered with CPS Energy to make an even bigger dent in your energy bill.” CPS Energy will also give you up to $85 when you sign up for Rush Hour Rewards, and customers can get another $30 if you stay enrolled in the program through September 30. And you can save even more with Seasonal Savings plan. The great thing about Seasonal Savins is that you You won’t even notice it working, but in the end it can help you save up to 10% on heating and air conditioning. Every summer and winter, Seasonal Savings slowly fine-tunes the temperatures in your schedule to save energy. It works like this: Seasonal Savings might adjust the temperature a degree while you sleep, or tweak the temperature half a degree in the morning. Tiny adjustments will add up over a few weeks. You can change the temperature at any time—if you’re too warm or too cold, just adjust your thermostat and Nest will listen. CPS Energy also offers other additional rebates. If you’re thinking about weatherizing or installing more efficient appliances, make sure you check for any rebates and loans available to you through CPS Energy. Rebates are always a great incentive to get the local Boerne community to take real progressive energy-saving measures. In particular, the CPS Energy’s Efficiency Programs are great for balancing home comfort with excellent energy-saving best practices. Enrollees in the program allow CPS Energy to lower or raise their thermostats when demand for heat or air is high. If you have trouble remembering to turn off the heater when you leave the house, this is a great option for you. If you’re looking for other ways that CPS Energy can help save you money on your utility bills, they also provide a Budget Payment Plan. CPS Energy will charge you an average of your previous bills’ amounts, plus a fee for environmental factors. There is an application and approval process. Currently, CPS Energy requires you to call them by phone to sign up. CPS Energy also offers equipment rebates. 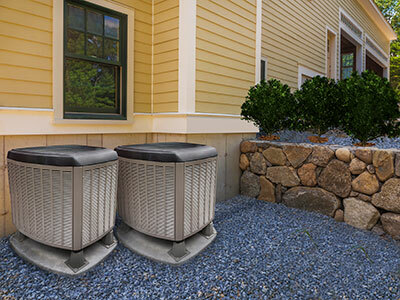 They commonly offer rebates on Window Air Conditioners ($25-$45 Rebate), Central Air Conditioners ($110-$225/Ton Rebate), Heat Pumps ($110-$225/Ton Rebate), Pool Pumps ($150/HP Rebate), and Attic Insulation ($0.15-$0.25/SF Rebate). To learn ever more about potential rebate offers for the Boerne area from CPS Energy, visit https://cpsenergy.com/en.html. You can also call one of our team members to ask about additional incentives.